Lately, Half-handed Cloud’s John Ringhofer has been paying close attention to Robert Rauschenberg, to Joseph Beuys, to artists and filmmakers and musicians who turn the stuff and debris of everyday life into high art–and it shows. Ringhofer is set to release Flying Scroll Flight Control, his sixth LP as Half-handed Cloud, on Asthmatic Kitty Records in June of this year, and it positively bristles with contradictions like these, of discerning the absolute truths concealed within chaos and ephemera. 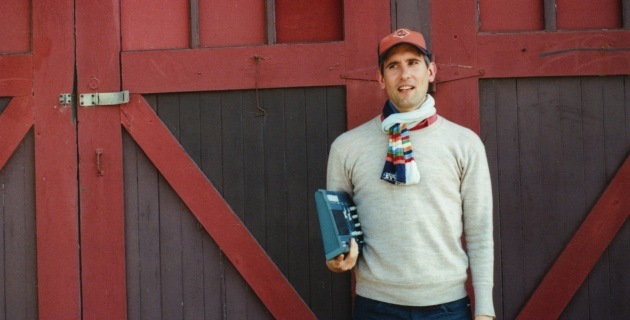 The tunes on Flying Scroll Flight Control are pure pop–they were mixed and polished to a shine with Sufjan Stevens in his Brooklyn studio during the first week of September last year. 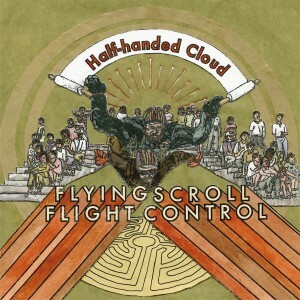 At times the album’s buzzing trunkful of unlikely instruments suggest a rough-hewn, ramshackle aesthetic, recalling Flight Control‘s roots in the bedroom demos that Oakland-based Ringhofer made during a few months abroad, recording with whatever was at hand. But nothing is disposable in the musical world of Half-handed Cloud: the dizzy arrangements envince the sophistication of Ringhofer’s musical thinking, while the lyrics dig deep into theological mysteries by way of Paul the Apostle. With Flying Scroll Flight Control, Half-handed Cloud aims to marry the humblest sound-sources and the highest artistic aspirations, the giddiest aural pleasures and the most reverential jubilation, to be at once a confection for the ears and nourishment for the soul. See the trailer below. You can pre-orders for the pop-bottle-clear vinyl, and CD, here.